Spring season is just right around the corner. This is that time of the year when mother nature awakens and inspires us to forget the long and cold slumber of winter. You have been anxious and nervous while counting down gloomy winter days until you are going to be able to jump on your steed again and unleash the Speed Demon from within you. Just as spring symbolizes the time of rebirth, Alpinestars stays true to its Italian nature by keeping up with today’s moto fashion and introducing the Luc Air and Eloise Air jackets. 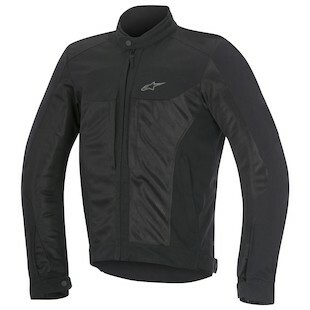 The Alpinestars Luc Air Jacket is meant to be a stylish entry level mesh jacket for the man in your life. It features a chassis constructed out of 600D polyamide material and air mesh torso, back and inner sleeve panels. On the protection front, the jacket features Alpinestars’ new Ride Out CE Shoulder Protection in addition to the back and chest protector inserts that will accept the Nucleon armor. 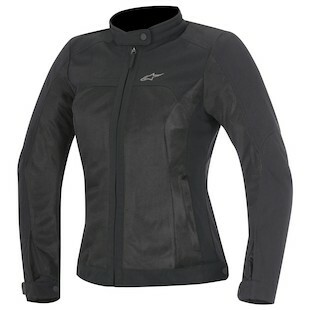 And for the special lady in your life Alpinestars has something for her as well. The Alpinestars Stella Eloise Air jacket is meant to be a the Bonnie to the Luc Air’s Clyde. Similarly, the Eloise Air will feature a construction designed out of the 600D polyamide material in the impact critical areas as well as air mesh panels in the front, back and sleeve areas to ensure an adequate ventilation in sizzling hot summer days. Make no mistake, while this maybe a women’s jacket, it by no means will cut corners from the protection standpoint. The jacket will feature a new Ride Out CE Shoulder protection as well as chest and back inserts for the Nucleon armour pieces. A nice addition to the functionality of the jackets are the inclusion of a waterproof internal electronics pocket. The styling and the fitment on these jackets will be unmistakingly European. Both jackets will feature dual waist D-ring adjustments to allow the the rider to tailor the fit to their liking. For the Bonnie and Clyde looking for an entry level stylish Italian mesh jackets, the Luc and Eloise Air are their best bets.